The colour forecasts are clear – as a nation we are returning to warm neutrals and earth tones as the favoured colours for our interiors. What Makes a Colour Warm? It's all about the undertones: warm colours are characterised by a yellow or pink undertone, for example Light Umber, Pearl White or Pentland (shown above). Traditionally people think of colours like blue as cold, however, if you take a closer look at a colour's undertone, a blue with red undertones can make a room feel warm, like our French Turquoise. Our love for blue/green jewel tones in both fashion and interiors at the moment may be due, in part, to their warm undertones. A deep jewel tone feature wall instantly makes a room feel more cozy and enticing. Where Should I use Warm Colours? Warm colours are perfect for north facing rooms and those that don’t get a lot of natural sunlight. They are also ideal for bedrooms, and living spaces where you want to create a feeling of relaxation and comfort. Warmer tones work equally well in rooms with lots of sunlight. They pair well with natural wood, sanded floorboards or bamboo furniture. Why limit yourself to just one warm tone at a time? 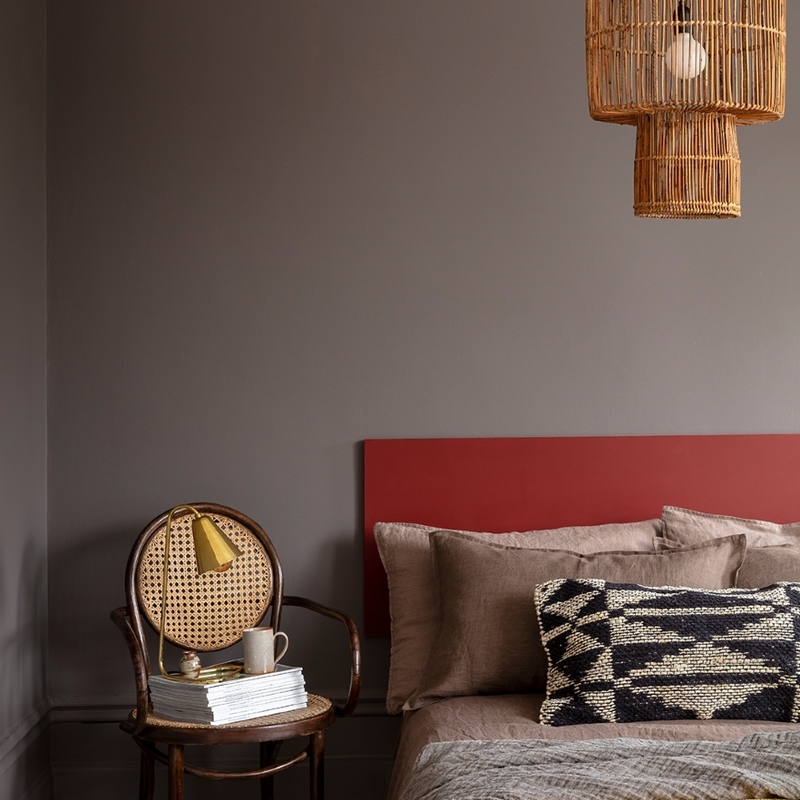 We love @zinovatnaya take below on colour blocked walls in the bedroom. 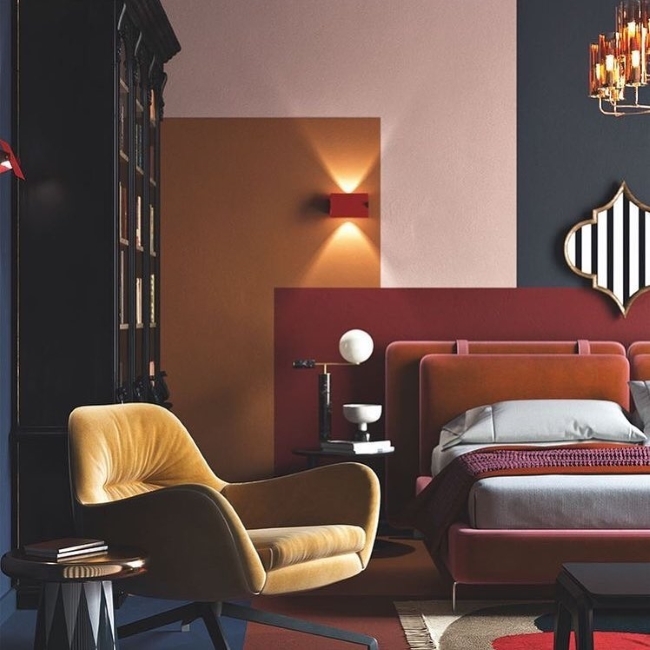 Make your walls the artwork with Medici Crimson, Lido Blue, Russet and Mackintosh Mauve. Go dark and cocoon yourself in warmth. 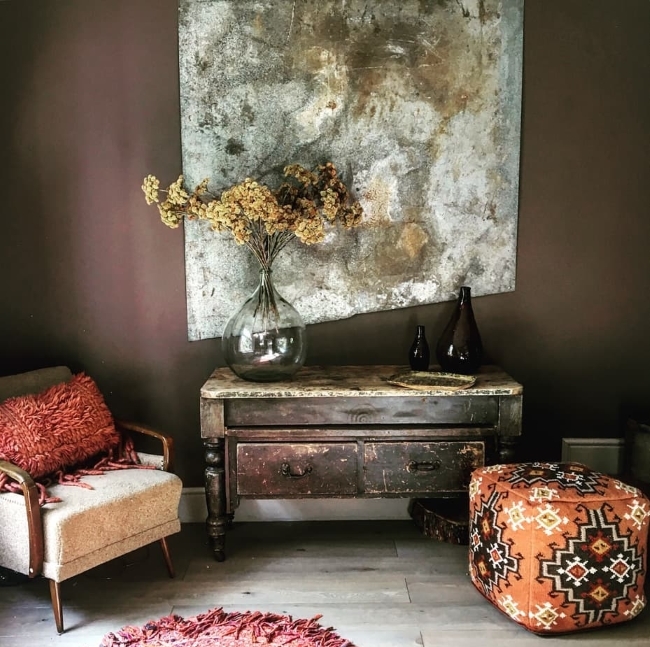 It’s all in the detail here with vintage furniture, autumnal toned fabrics and that angled artwork. Create your own retreat like @wattleanddaubhome with Damson or Clove Brown. 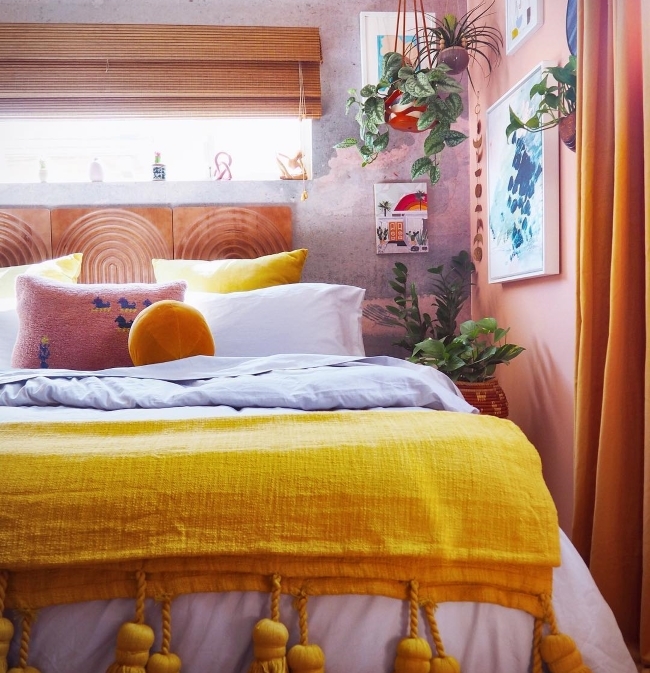 Warm can be cool when clean toned pinks are layered with warm orange and yellow hues like @candycoloredhome. Create your own sunshine in a north facing room with Rose Pink, Etruscan Red and Russet. Ready to choose your own warm tones? Order your free colourcard here, or shop now to order a few of our sample pots before committing to your favourtire colours. Named for the beautiful Etruscan pottery, whose red hues mimicked the colour and tone of sun-bronzed skin. Use with 1829 Light Grey Undercoat. This pure, masterful red with a Renaissance atmosphere will bring opulence and grandeur to any interior. Use with 1829 Light Grey Undercoat.